Rumors of an Apple Car were put to bed last year when CEO Tim Cook said the company was working on “autonomous systems,” or software that could power self-driving cars. That was a relief to investors who worried about Apple taking on Tesla, Toyota, GM and other car manufacturers. Cook hasn’t made firm promises about self-driving technologies or dates by which they’ll hit the market. Apple is partnering with Hertz to test its autonomous software in some of the company’s rental cars (Lexus SUVs) on the streets of San Francisco, according to filings with the California Department of Motor Vehicles. Siri, CarPlay and other Apple software will probably get more usage once autonomous vehicles become a reality and drivers are free to pay attention to their screens, not the road. 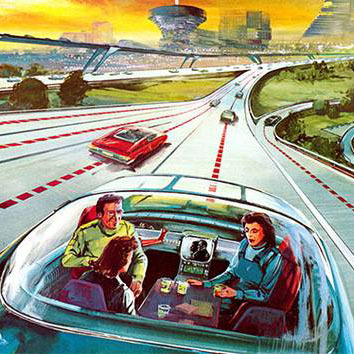 As autonomous cars make their autobahn-paced transition from fanciful, emerging technology to mainstream reality, they’re expected to leave a forever-altered world in their rear-view mirrors. And it isn’t just highways and commutes that will be transformed—it’s also the homes and towns where we choose to live.